Each year we commemorate Kristallnacht in observance of the "Night of Broken Glass" which refers to the wave of violent anti-Jewish pogroms which took place in cities throughout Germany on November 9th and 10th in 1938. 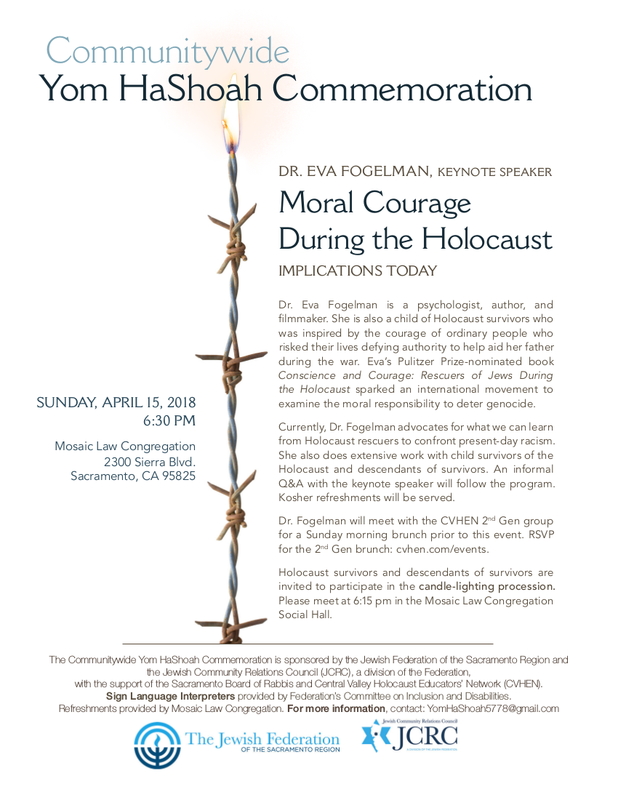 We also observe Holocaust Remembrance Day, Yom HaShoah, joining with people all over the world to memorialize the six million Jews who perished in the Holocaust. Members of the Sacramento Jewish Community exhibit their families' Holocaust-related documents, photographs and artifacts in a display at the annual commemoration.